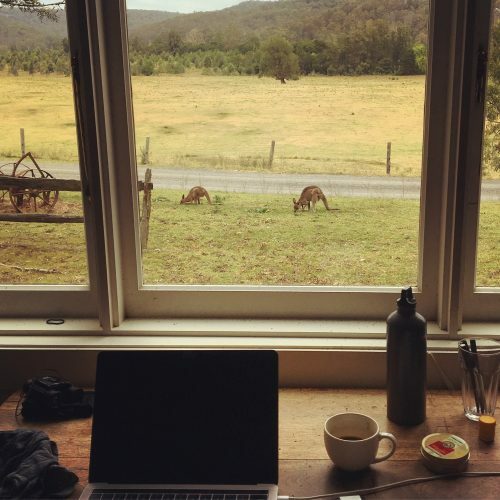 In my three weeks away at Bundanon, I worked my way through a whole draft of the new book, achieved my aim of resolving some structural questions, and also injured myself in some way – so now I am paying the price for that work-binge. Look after your WHS, writers! I was thinking a lot about the body, gender, and various dysphorias, so it was almost in keeping to find myself afflicted. Fortunately I have no deadlines for the rest of this year and an enormous pile of reading to catch up on, so the forced period of inactivity is useful, if frustrating. Apart from the aches, it was great to be back in Wodi Wodi/Yuin country, on the shores of the Shoalhaven river. A lot of landcare has been done since I was last there five years ago, and it’s wonderful to see the bush so well looked after. 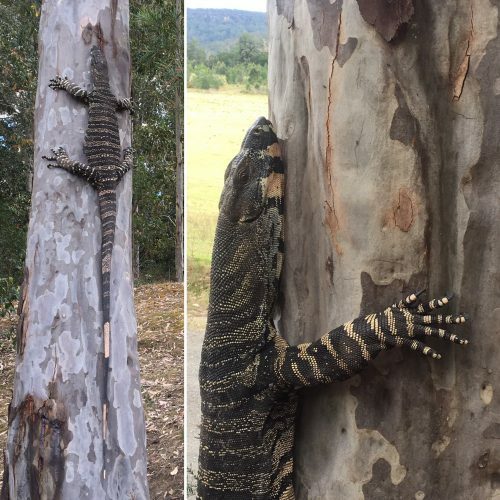 The country is very dry after a winter with so little rain and locals were justifiably worried about the bushfire season ahead. 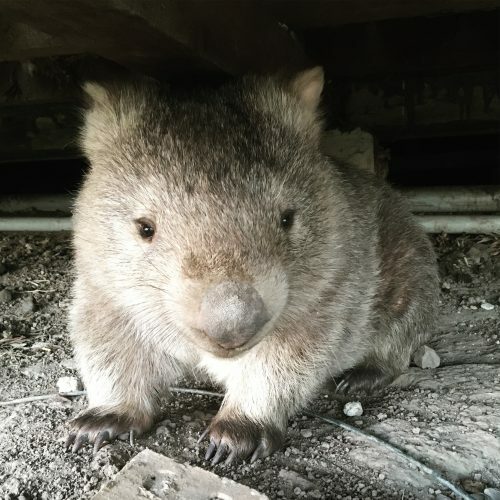 I encountered a lot of wildlife on my daily walks and didn’t have to go far to find it – there’s a wombat living under the writer’s cottage. 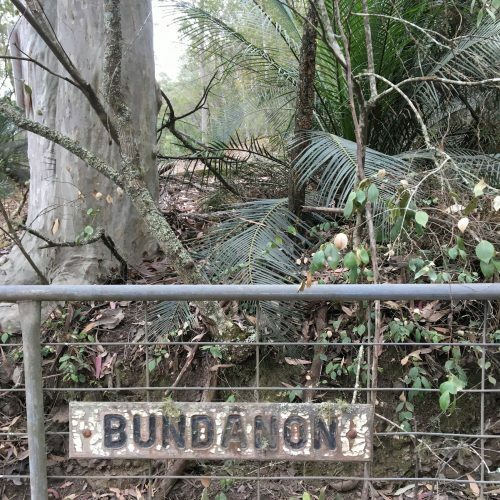 Part of the charm of Bundanon is the way the wild encroaches on you, overlapping with your work, so that you can’t help but adjust to the routines of birds and animals – the emergence of the wombat became an evening clock. 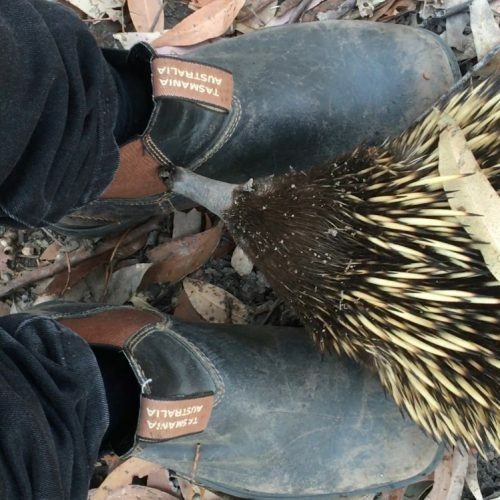 I was dazzled by the beauty and gravitas of lace monitors and amazed to be investigated by a curious young echidna. The new issue of Overland is out – it contains my interview with Peter Carey and lots of other interesting stuff, get your hands on a copy now or visit the website next week when the Subscriberthon madness is on and you could win a ridiculous amount of goodies with your subscription. I have a new essay in the Sydney Review of Books about Shaun Prescott’s The Town, the 2nd fiction offering from Brow Books. I would read the book before you read the essay if you can as it is worth going into such a unique reading experience cold. 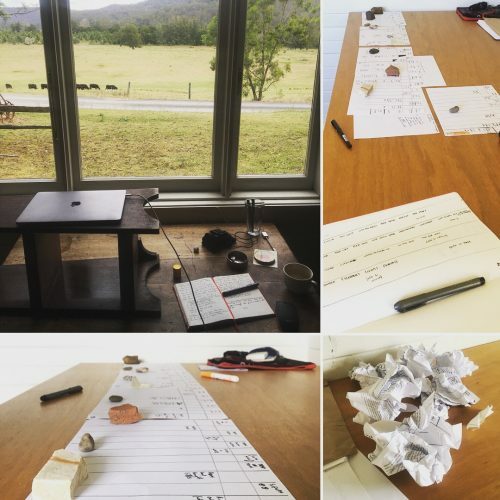 I had fun writing the essay – lots of thoughts in there about being a regional writer, landscape, the problems of genre, and Gerald Murnane. 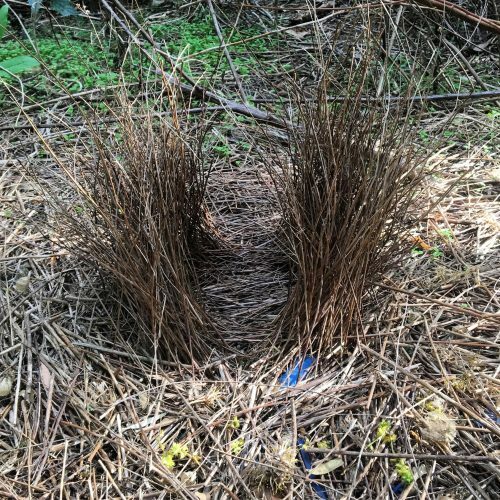 A new short story of mine is up at the Review of Australian Fiction – it’s my fourth appearance in the RAF, which indicates my support for the project – I have long enthused about its reserving space for short fiction, pairing established writers with emerging, and embracing the digital format. This story, called ‘Salt-wolf,’ is a bit different for me – I described it to the RAF eds as ‘revisionist Beowulf fanfic’ and it’s very much in the tradition of feminist retellings of classics. You don’t have to have read Beowulf to enjoy it, but if you’re curious, there’s a slightly abridged reading of the Heaney version on youtube that makes a great introduction. 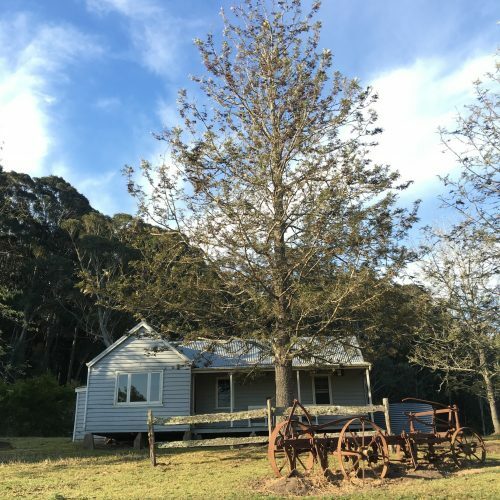 This time I’ve been paired with Veronica Sullivan, whose story ‘Second Growth’ is both imaginatively daring and intimately human – it steers the reader gently from the shore of suffering to that of grace. I highly recommend it to you. 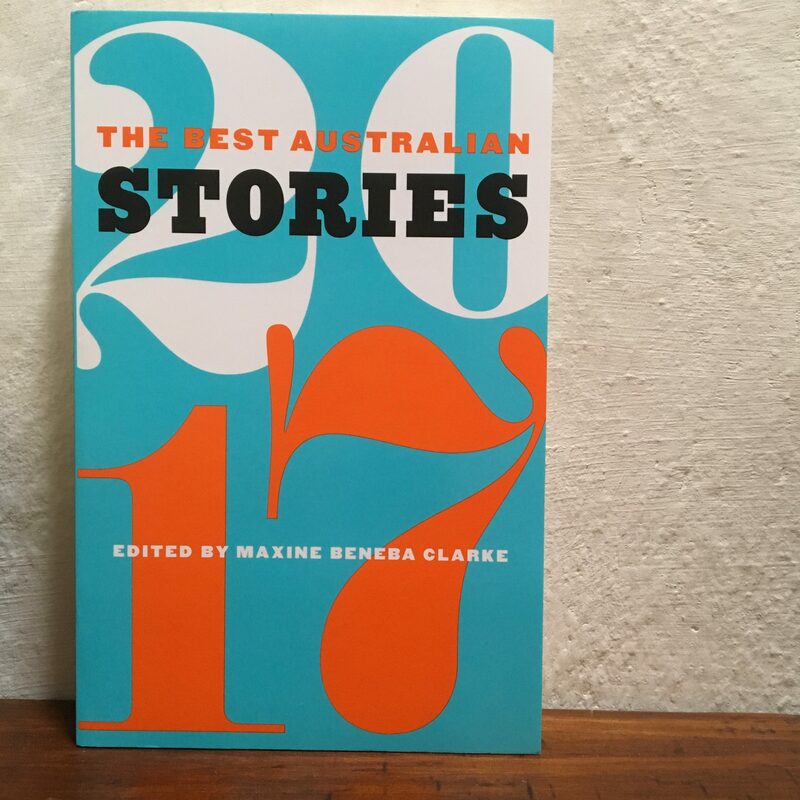 Another release – they all seem to have come at once – is the annual Best Australian Stories anthology, and I’m pleased to have one of mine included again: ‘Miracles,’ which first appeared in Meanjin. There are lots of other great writers in there including some of my favourites like Julie Koh, Ellen van Neerven, Josephine Rowe… so do grab yourself a copy while you can. This was written by jenjen. Posted on Thursday, November 9, 2017, at 2:18 pm. Filed under writing. Bookmark the permalink. Follow comments here with the RSS feed. Both comments and trackbacks are currently closed.